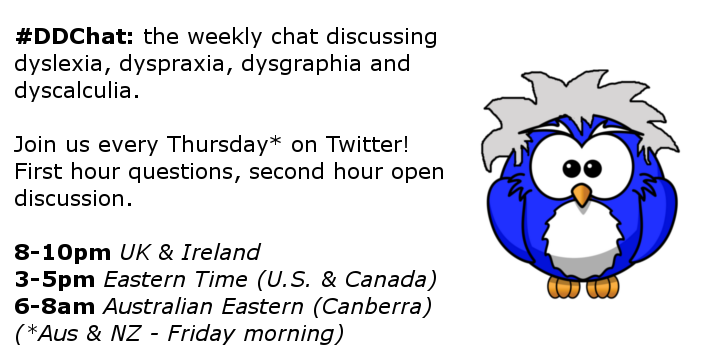 #DDChat is a Twitter chat that discusses all things dyslexia, dyspraxia, dysgraphia and dyscalculia related. It started off as a monthly chat but due to the success it became a weekly chat with regular participants. The chat takes place on Thursday at 8-10pm UK time. 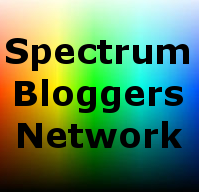 The first hour is made up of a series of 6 questions on various topics related to neurodiversity and the second is an open floor to continue discussion or to ask any burning questions or queries.